Every year we see a new Halloween costume based on the iPhone, this years one is based on the new iPhone 4 and it think it is the most realistic version we have seen to date. 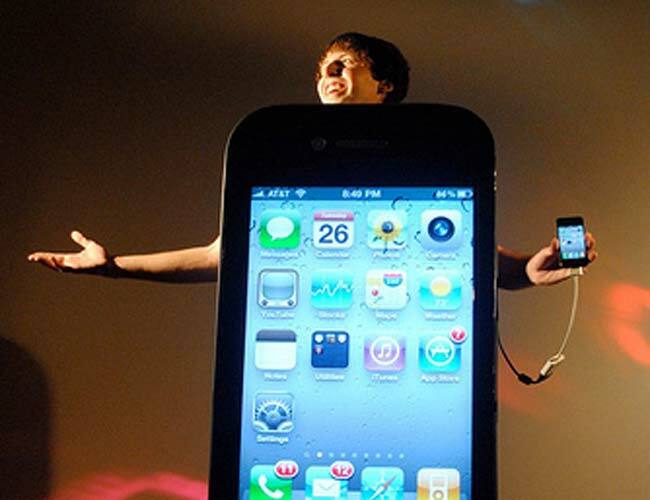 The iPhone 4 Halloween costume was made by John Savio, using a 40 inch LED LCD panel, and a jailbroken iPhone, plus a mini 12V battery that provides up to 2 hours of battery life. The costume took John around 40 hours to make, have a look at it in action in the video below.